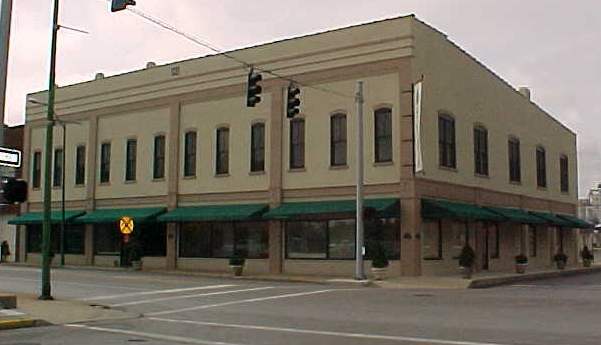 The main offices for HWEA are located in downtown Hopkinsville at the corner of 9th Street and Clay Street. HWEA moved into this location in November 1998. HWEA purchased the complex and lots from the Sisk Motor Company. The location proved to be the ideal place for HWEA to move it's headquarters and distribution crews yet stay in the downtown area. HWEA renovated the buildings on 10th and Clay Streets for the Distribution Department in 2000. The main office building was originally constructed in 1911 and has served many occupants throughout the years including the McKinney Service Station, a roller skating rink on the second floor, and the old American Legion offices. Sisk Motor Company occupied the building from the mid-1950's until HWEA purchased it. Prior to this move, HWEA's main offices were located in the Lackey Municipal Building since 1963. HWEA is proud of the building's heritage and it's role in the Renaissance of downtown Hopkinsville. HWEA's complex along Clay and 9th Streets is convient to our customers with a drive-up window, off street parking, and along the main east/west route through Hopkinsville. Behind the main office building is a mural of the Water Cycle, hand painted by Hopkinsville artist, Ricky Deel. On the wall at our rear parking lot is a large mural that depicts aspects of the water cycle. HWEA commissioned this artwork to be designed and painted by Hopkinsville native Ricky Deel in 1998. The public is welcomed and invited to come by and view this masterpiece. Click on the thumbnails to the right to view larger photos.